Barely a month after Microsoft pulled the plug on Windows XP life support, a critical security bug affecting the operating system – which remains in large usage for more than 300 million computers across the world – has been spotted. Cybersecurity firm FireEye first reported the vulnerability found in multiple Internet Explorer versions. As of now, the flaw remains unpatched. But there is good news for users of IE9, IE10 and IE11 which run on Windows Vista and Windows 7. Unfortunately, Windows XP users won’t get fixes for the versions of Internet Explorer running on this system. Don’t say you have not been warned before the retirement of Windows XP on April 8. Malicious attackers could lure unsuspecting users into clicking a link that redirects to websites which can be used through “drive-by” attacks to take over your browser, and thus hack your computer system. This can be done through email-contained URLs. By the time a user visits a malicious site, the attacker can remotely execute a code to install malware on your computer and steal sensitive data. In worst case scenario, attackers can take full control of your administrative rights over a computer and change your security settings. 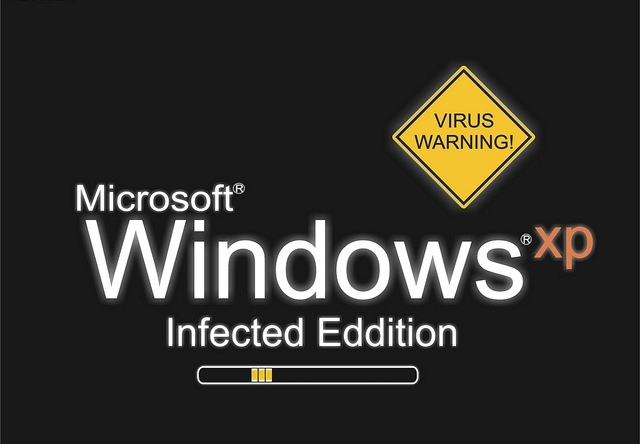 This bug is so far the first security flaw to have ever hit Windows XP since it became a walking dead after April 8. And we can expect more vulnerabilities to come out in the future. It is remarkably alarming that the bug was labeled a zero-day vulnerability – meaning a third-party had to notify Microsoft about it – when more than 55 percent of the Internet population are using the IE browser as revealed by research firm Netmarketshare. Users of Windows XP in particular, who are not likely to receive a patch, are advised to install the Enhanced Mitigation Experience Toolkit 4.1 on their system in order to prevent attackers from taking advantage of the security flaw. The tool is available from Microsoft’s website. Since the bug only affects different IE versions, it also obvious that users must start transitioning to other browsers such as Chrome, Firefox or Safari in order to avoid the risks. Users can also protect themselves by activating the Enhanced Protected Mode and changing the local intranet security setting into “high”. Also, FireEye recommends that users disable Adobe Flash Player on their IE browsers to mitigate the risk. While Microsoft vowed not to issue a patch for Windows XP-based IE versions, there are those who are hoping that the software giant might lax its decision when the number of attacks rise exponentially, which is predictable. I think most of the people has stopped using windows xp and migrated to windows 7. Therefore this won’t be a issue anymore and also microsoft has stopped its production. I have to say that I am very displeased Microsoft has now chosen to end full support of Windows 7. It was predicated on an entirely fresh and amazingly seamless new experience for desktop users—something that I’m sure many of us end-users will agree was a mile-stone that we feel Microsoft finally got right with the entire OS-Build as a whole——-and now they won’t even offer extended support for it after 5 more years?! I’m sorry but IMHO Microsoft has chosen to drop Windows 7 way too soon! After all the heartaches we also put up with regarding Windows Media Player——-that too seems to be finally void of the hang-ups and crashes so prevalent in the builds prior to Win 7. With all that Windows 7 still brings to the table and considering the fact that it has been aggressively adopted as a trust-worthy desktop operating system by a large percentage of residential and business-users alike——–it baffles me completely that Microsoft would choose to get rid of something that essentially works great and still offers plenty of modern capabilities through a build that has proven its stability and stood the test of time thus far. The technology Windows 7 is built upon is far superior to that of all its predecessors—yet somehow Microsoft expects us to believe that it’s absolutely necessary to now get rid of it?! Microsoft has a history of dropping the ball right when things seem to be working out for the better——-and now it wants to drop one of the best working desktop operating systems it has ever created to date——-all for the sake of a few technological advances, that aren’t even garnering that much appeal for the everyday computer user that just needs a solid system that works?! Instead of steam-rolling the perfectly fine-working Windows 7 product and effectively dismantling it so soon after its huge success——-wouldn’t it have done some good to keep Windows 7 around for a lot longer than any of its shoddy predecessors, simply due to its amazing success alone? !——-Never mind the fact that it really is a solid operating system that, again, still has loads of potential.